Dennis joined the board in July 2017 and serves on the Technical Steering, Compensation, and Health, Safety, Environment and Communities committees. Dennis is executive director and a founding partner in Cupric Canyon Capital, a private company that is developing a large copper mine in Botswana. His mining career spans more than 40 years, where he began as a mining engineer for Phelps Dodge Mining Company in 1977. 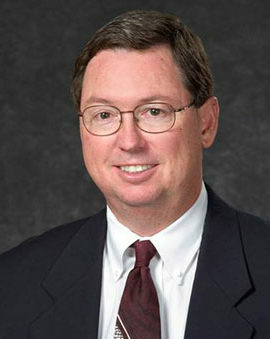 He served in various planning, operations, construction, start-up and leadership capacities at large copper mining operations in Chile, Peru, New Mexico and Arizona, eventually leading all of the company’s North and South American mining operations as senior vice president, mining operations. He later served as senior vice president, development for Phelps Dodge Mining Company and, subsequently, Freeport-McMoRan Mining Company. He had instrumental leadership roles in the expansion of the Cerro Verde copper mine in Peru, construction of a new copper mine in Safford, Arizona, and initial development of the Tenke Fungarume copper mine in Africa. Dennis holds a bachelor’s degree in mining engineering from the University of Arizona and a Master of Business Administration from Western New Mexico University. He resides in Arizona.